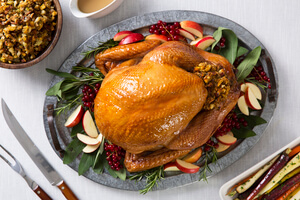 Ingredients: Injected and Baked Whole Turkey, Water, Salt, Dextrose, Sodium Phosphate, Carrageenan, and Natural Flavors. 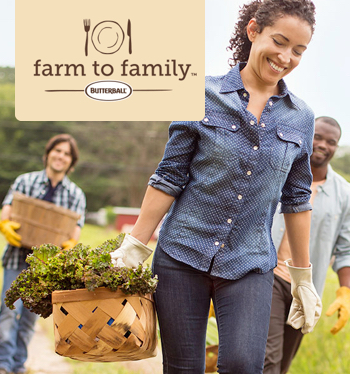 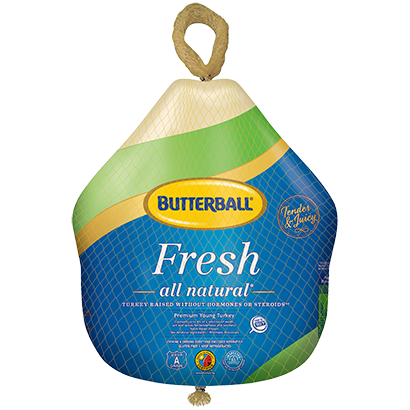 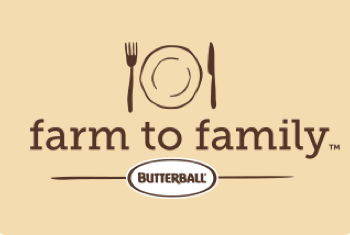 Butterball® Oven Baked Turkey is fully cooked and ready to eat. 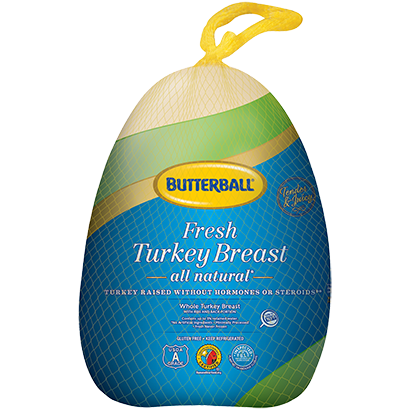 It can be used in recipes calling for cooked turkey, without prior heating. 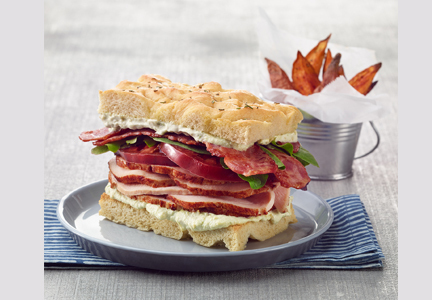 The thigh meat may be slightly pinkish in color and some pink juices may appear. 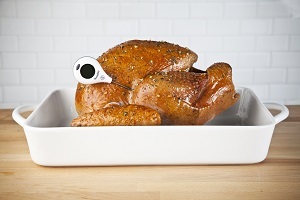 This does not mean that your turkey is undercooked.